The four senior management officials were reportedly told they could resign, retire, or report for a new assignment with the Secret Service or the Department of Homeland Security, the Washington Post reported, citing “people familiar with internal discussions." A fifth individual has also decided to resign, the newspaper stated. The news comes on the heels of a critical report in December that found the agency stretched beyond its limits and is too insular. In October, Julia Pierson resigned as Secret Service director after a number of security lapses. The most threatening of these incidents occurred when a knife-wielding man managed to scale the White House fence and run through much of the mansion’s main floor before being subdued. There were also a series of revelations about the agency’s bungled response to a 2011 shooting attack at the White House, and exploits with Colombian prostitutes during an international summit in 2012. The departures gut much of the Secret Service’s upper management in the areas of protection, investigations, technology, and public affairs. The assistant director in charge of training, who also headed President Barack Obama’s protective detail, announced in recent weeks that he would retire. A critical report by a panel of outside experts in December, appointed by the DHS, led to interviews with 50 agency employees and 120 meetings with representatives from federal agencies and research facilities, metropolitan police, and security forces. “The panel found an organization starved for leadership that rewards innovation and excellence and demands accountability. From agents to officers to supervisors we heard a common desire: more resources would help, but what we need is leadership,” the executive summary said. The current changes leave in place the agency’s second-in-command manager and one of the longest-serving leaders at the Secret Service: Deputy Director Alvin T. Smith, reported the Post. 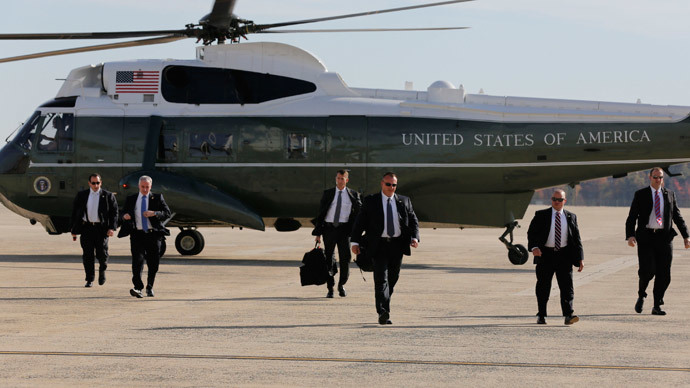 The review report advocated for new leadership from outside the Secret Service because the new director would have to make difficult choices to identify organization priorities and hold management accountable. An outsider, the panel concluded, would be removed from organization tradition and personal relationships and could do a top-to-bottom assessment without bias. The panel also said its most important recommendation would be that “a new director start with a zero-based budget” – not based on what the Service asked for in the past – but to ask Congress for a budget to carry out its mission, and to seek funding for 85 special agents and 200 uniformed division officers.